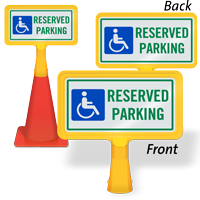 Mark parking spots reserved for people with disabilities with this highly visible no-tip, portable Traffic Cone Sign. • Sign locks on top of any cone without applying extreme pressure. 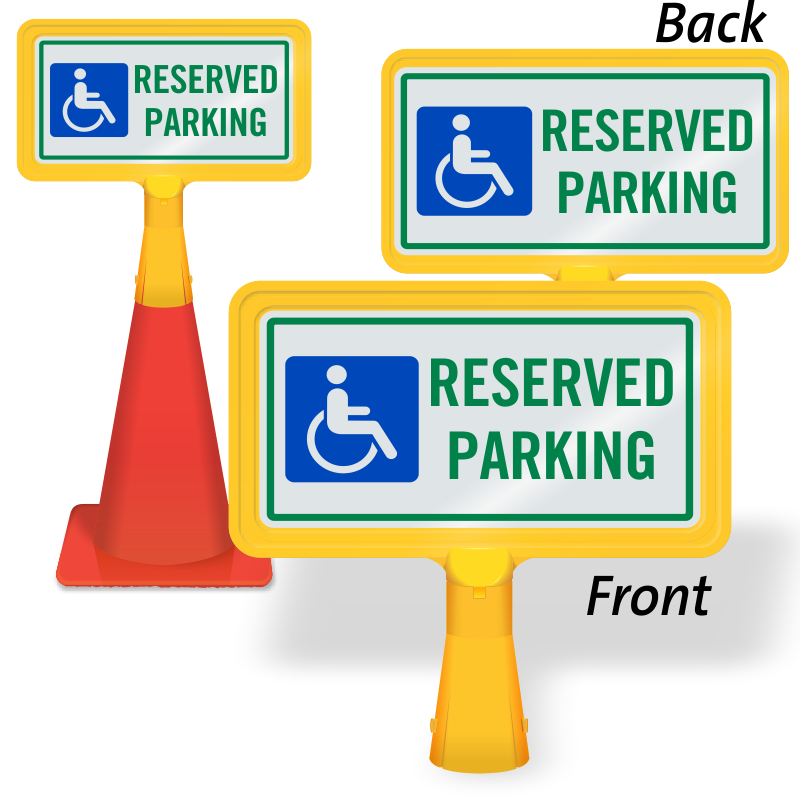 • Sign size is 8" H x 15" W. Overall product dimension are 15.4375" H x 15.875" W.
• Injection molded cone sign fits snuggly over most common size traffic cones. No need to pinch the cone to apply a sign. Sign just fits over the top of the cone. Holder was designed to fit over standard 18" and 28" high cones. 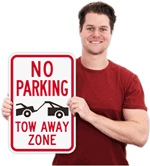 Sign can be used with 36" high cones, but may fit loose as some 36" cones are slimmer towards the top. Holder has a bottom diameter of 3.25". • Signs do not “flop” or “wobble” in the wind or brushed by a passerby. Compare with other cone signs that tilt down easily. 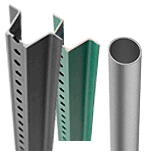 • Rigid 3/16” thick plastic takes abuse. • Engineer grade signs are brilliantly reflective at night or with headlights. Signs are laminated for superior durability. 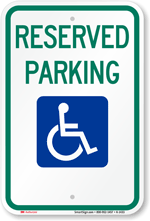 • Signs are 15.75" W x 8.5" H and the entire assembly is 15.875” W x 15.4375” H.
• Signs are printed on both sides.